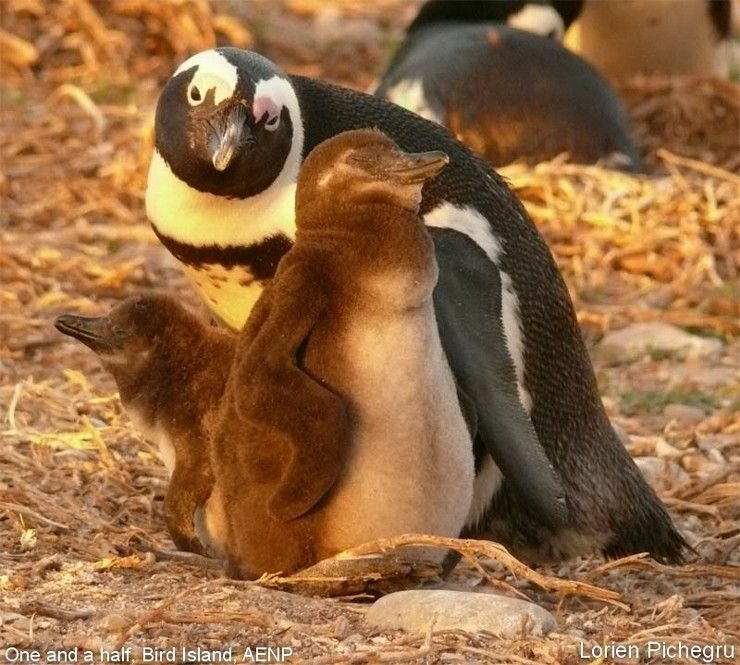 Female penguins lay their eggs two days apart, but start incubating after the first one has been laid. This results in them hatching two days apart. On hatching they are covered with a fine down, are wobbly and blind and totally dependent on their parents who take it turn to brood and protect the young. 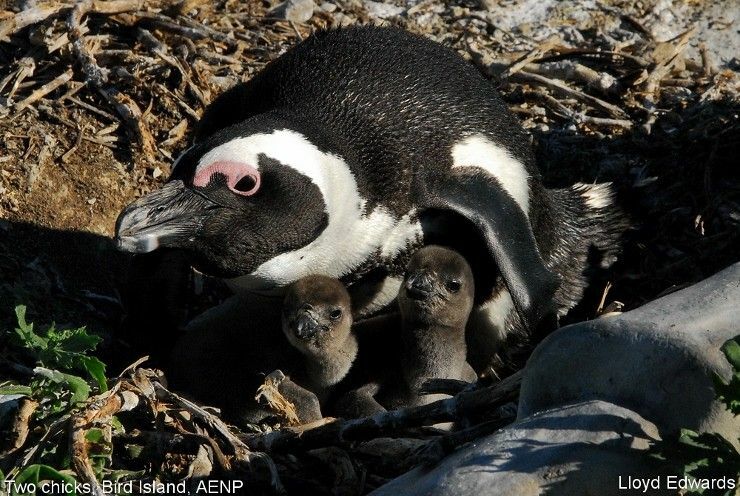 During the first two weeks chicks need to be protected against the elements and predation by marauding Kelp gulls and Sub-Antarctic Skuas. As the chicks are growing, so are their appetites and the demands on the working parents! If food is limited, the chick will grow slower and will take longer (up to 4 months) in order to reach a good condition to fledge. During good years, they fledge after 2 months. 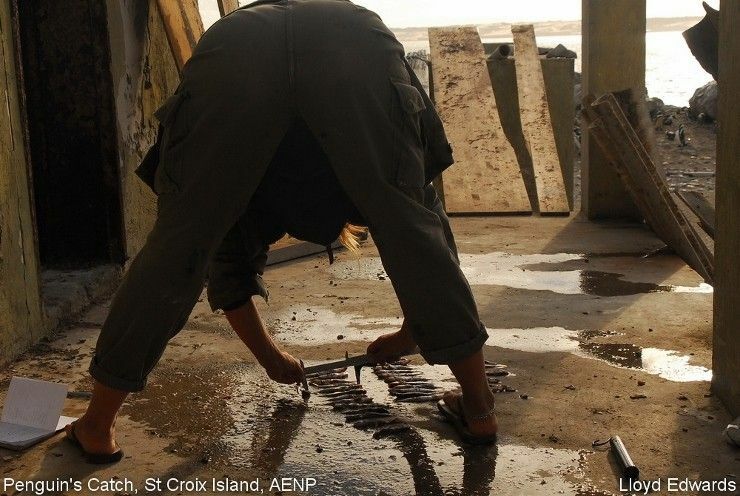 We are monitoring the growth of chicks from marked nests throughout the breeding season, from hatching to fledging, in order to compare the health of chicks from St Croix Island (closed to purse-seine fishing) and Bird Island (open to this fishing). 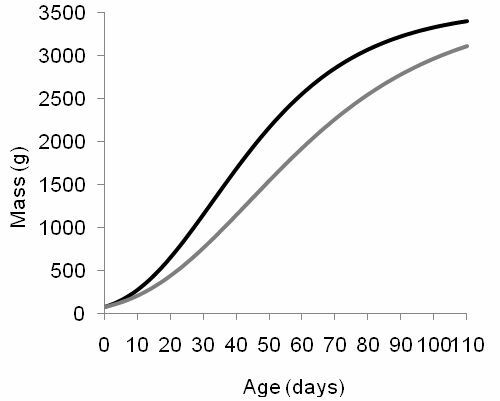 As we can see in this graph, it shows the average evolution of the chick’s mass over the number of days. 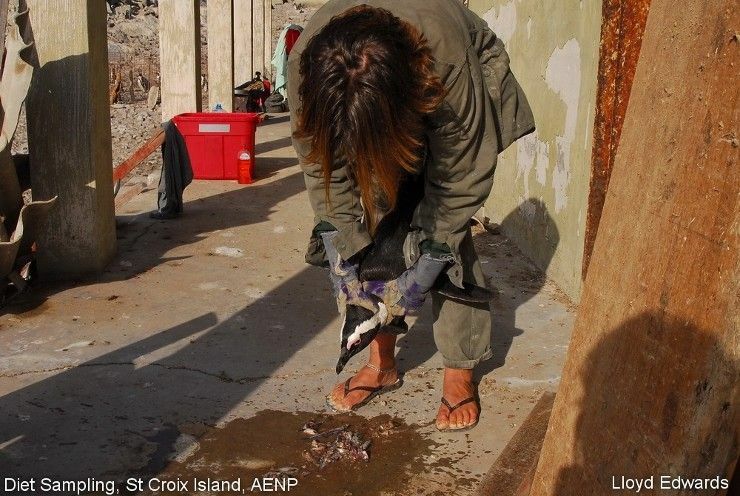 Chicks from St Croix grew slower than chicks from Bird Island in 2009. 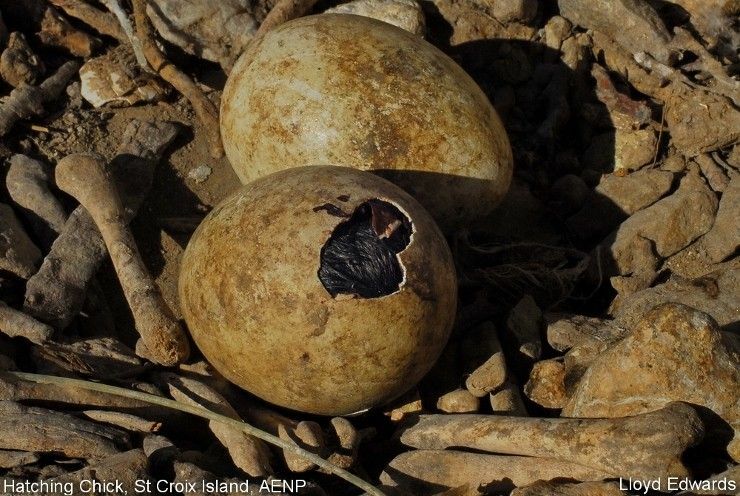 That year, parents from St Croix also worked much harder to find their food than parents from Bird Island. 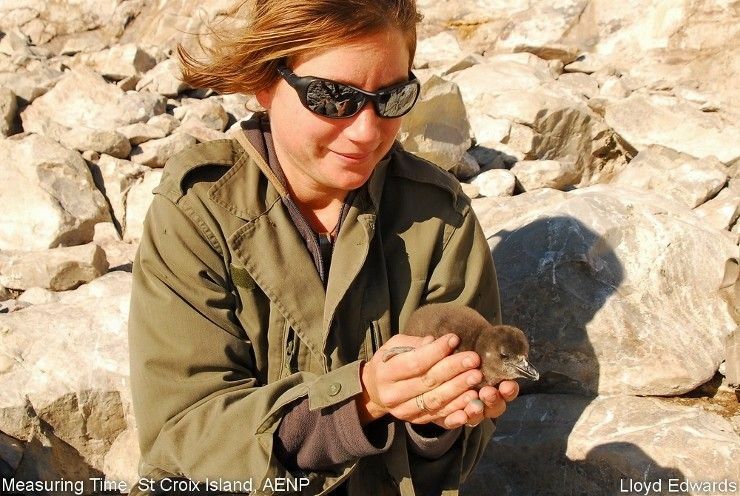 Unlike other seabirds that can travel fast between the prey source and their chicks, penguins being flightless, cannot do this. 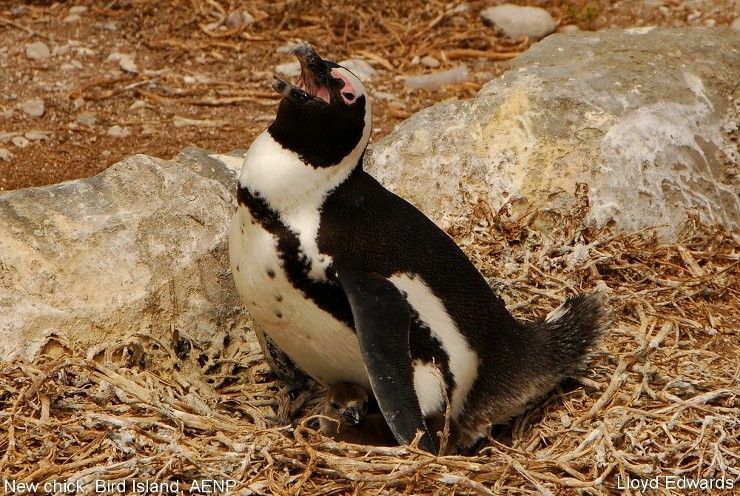 Penguins are however able to slow down their digestion while they are transporting this food in order to make more of it available to their chicks. As we said last week, often two chicks are reared simultaneously. Both beg from the parents and the one making the most noise is likely to receive more food. 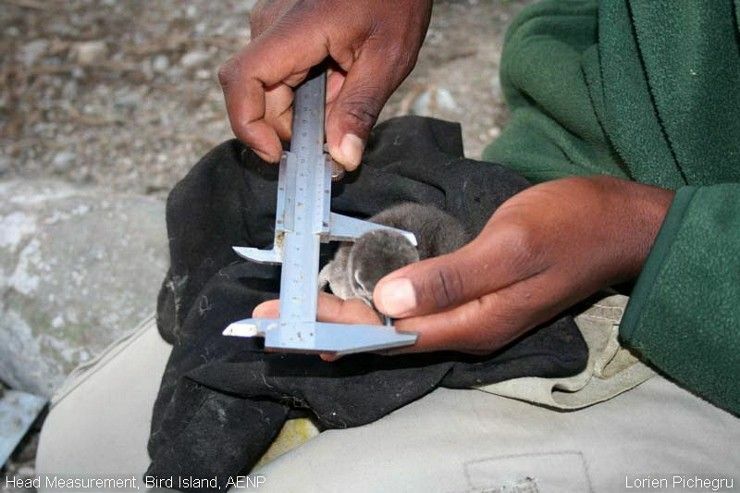 This results in one growing faster than the other and thus has a greater chance of survival; hence the majority of successful broods fledge only one chick. 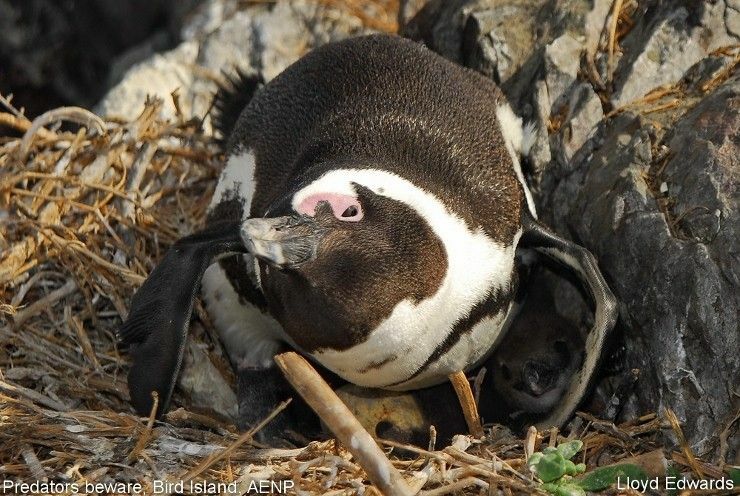 Parents regurgitate the food which is taken by the growing chicks who force their bills down the parent’s throat in order to prevent any spilling. Parents are more selective about the quality of their food while they are raising chicks. For example, while incubating they will also take squid which is far less nutritious than fish, but provides easily accessible food.  However, when feeding chicks, anchovies and sardines are preferred because of their high energy content. 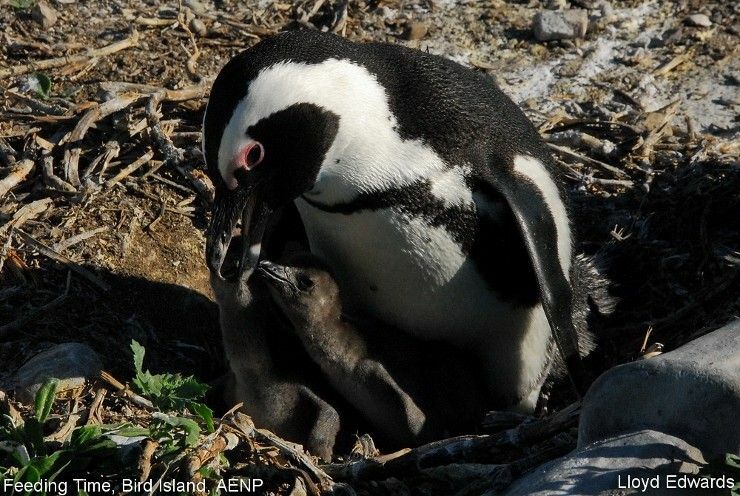 Therefore, if these fish are less abundant in the foraging range of penguins when breeding, the parents will have to spend longer foraging in order to bring the same amount of good quality food home. It is for this reason that we monitor parents’ foraging behaviour and the content of diet samples concurrently during the breeding season. 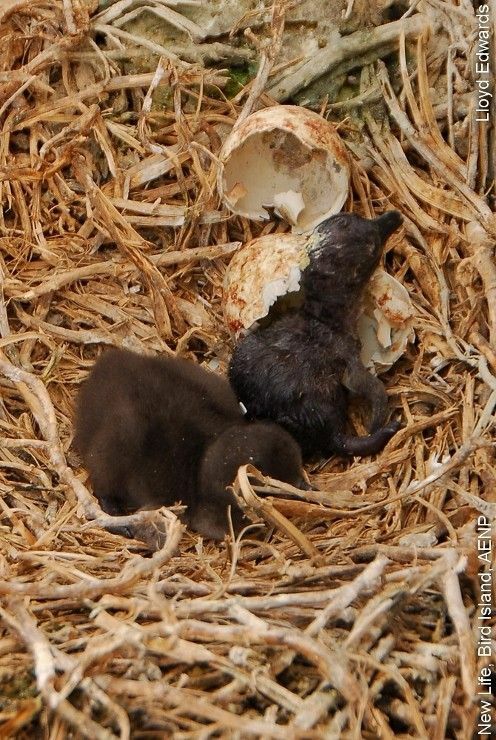 As chicks grow, so their food demands increase and for this reason both parents need to forage simultaneously in order to bring back enough food in order to satisfy the ever increasing appetites of demanding youth. 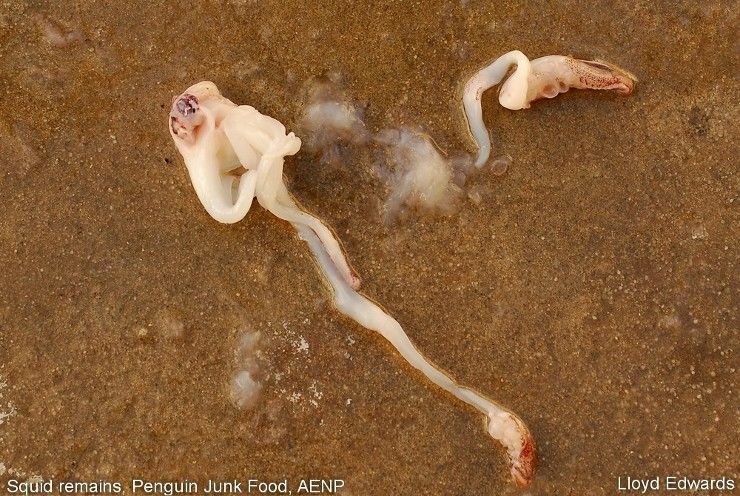 It takes 11.5kg of anchovies to rear the chicks from hatching until they are 70 days old, quite a feat!